I reached into my wallet and pried out my last two dollar bills. I am not sure what made him different than the others I passed. Perhaps it was his long, silky white hair that flashed in the sunlight that caught my attention, or his military-camo pants and drawing pad rested on his lap. The wrinkled cardboard laying against the brick wall next to him read, “homeless artist, anything helps, thank you” with a blue smiley face. I handed him the folded bills expecting to get a rushed nod and a thank you. Instead, he took the money and excitedly asked me if I would like to see his artwork he was drawing in his book. He laid down the front page of his pad, displaying many fine-point, black pen dots, clumped together making an image of mountains and pine trees. The man was thrilled to tell me his art was just posted online and that he hoped to share it with the world and to start finally selling it. His name is Lawrence, “also known as Gandalf,” on the street, he told me. He said it was probably because of his hair as he tugged at it slightly. While Lawrence was just another man in the streets of Seattle, I shuddered to myself knowing that he was a member of a staggering statistic. According to the U.S. Department of Housing and Urban Development, Seattle has the third highest homeless population among large cities in the country today, at nearly 12,000 people counted this January. The number rose close to four percent from last year, and it continues to increase. The clashing government, the lack of job opportunities, the full shelters, varying mental health factors and the rising heroin epidemic in our country are all possible enablers of the homeless. The problem is grim, intricate, complex and grips the lives of almost 600,000 Americans. The National Alliance to End Homelessness studies the causes, and disseminates data and knowledge to policymakers, providing solutions to end this epidemic. The National Coalition for the Homeless also lists ways that you can connect with the cause and take action. Funders Together to End Homelessness is a resource for donors who are working on homelessness issues and want to give with impact. United Way of King County works in King County, WA to bring together local governments, nonprofit organizations, shelters, citizens and the private sector to respond to the crisis and address its causes. Visit GivingCompass.org for our selection of initiatives and guidance, and highlights of efforts that are making headway in helping the homeless find employment and get back on their feet. As our eyes have sadly become glazed-over to the street-sitting, tattered cardboard signs and the ripped clothes, it is imperative that we remember each person is a human being; with dreams, interests, a personality, perhaps a family and also a few reasons that have sent them to the streets. We must also remind ourselves that the problem is not going to be solved overnight. Smart giving, sharing information and data, volunteering, and becoming more involved in our local politics are all small efforts that can assist one more American off of the sidewalks and into a better life. We must advocate for people like Gandalf, who even in his humble way, looks to improve humanity every 100 months. Original Contribution by Tessa Tenborg. Even with improvements in unemployment rates and the economy over the past few years, the rates of hunger in America remain pervasively high. Some 12.7 percent of people living in the U.S. (42 million Americans) are food insecure meaning they do not always have enough nutritious food for an adequate diet. Food banks and other organizations that can leverage national and local partnerships across the supply chain can secure food at costs well below retail prices. Feeding America is a group that provides emergency food more cost-effectively than conventional food drives. Read our full profile of Feeding America on our website. For more high impact opportunities like this, see our full High Impact Giving Guide. 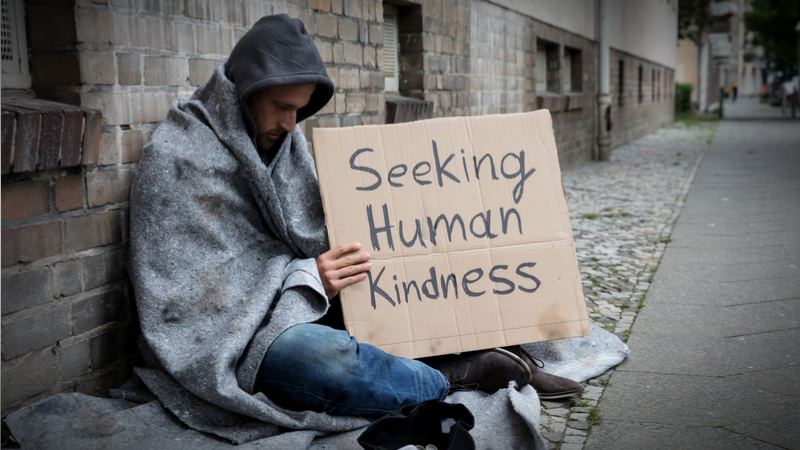 Homeless and Housing is a fascinating topic, and others found these events, galas, conferences and volunteering opportunities aggregated by Giving Compass to be relevant for individuals with a passion for Homeless and Housing. Homeless and Housing is an important topic. Other members found these Giving Funds, Charitable Organizations and Projects aggregated by Giving Compass to be relevant to individuals with a passion for Homeless and Housing.